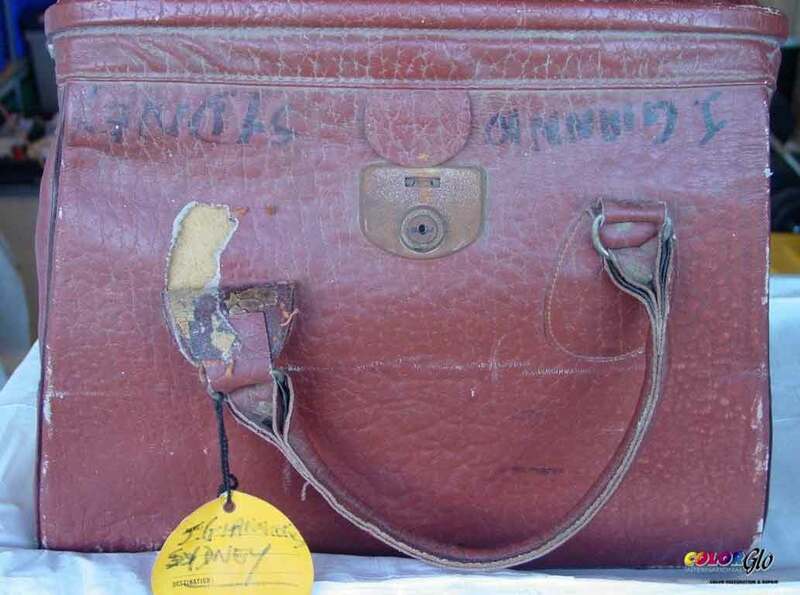 Torn, discoloured, scratched and ready for pasture describes this 50-year old heirloom bag. Wouldn’t it be easier to just buy a new one? Check it out same bag, new lease of life. 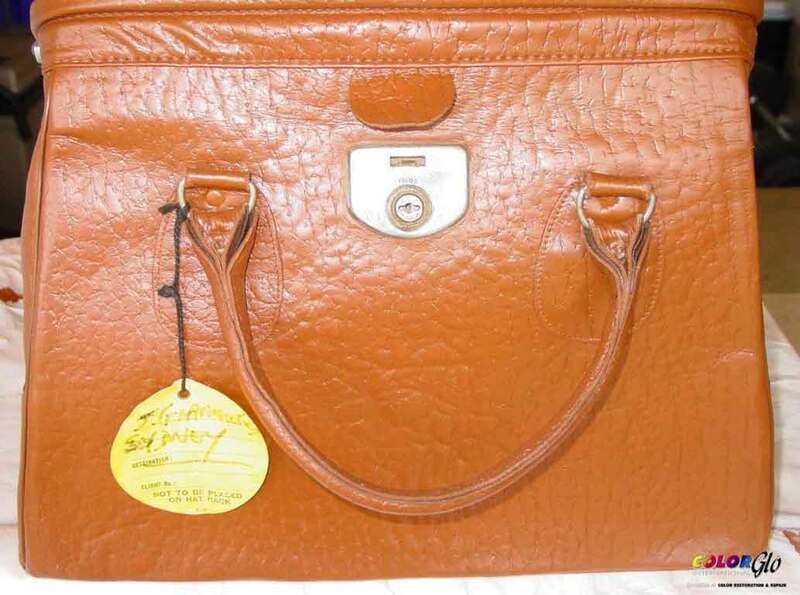 Color Glo has repaired the tear, restored the leather, and recolored the handbag to the colour of the owner’s choice.